Our campsite near Lewes has a relaxed and independent feel to the setting, with no cars, caravans, motor homes or trailers allowed into the meadow. Within our campsite accommodation options we have 12 camping pitches in the main camping meadow and a further five on the western side of the site near the showers. Two of these are amongst the fruit and nut trees making up our disorganised orchard, and the other three are on a south facing bank nearer to the buildings with views to the South Downs or into the neighbouring woods. Our campsite has just 17 spacious pitches set over our 8 acre site and once they are sold we are full. 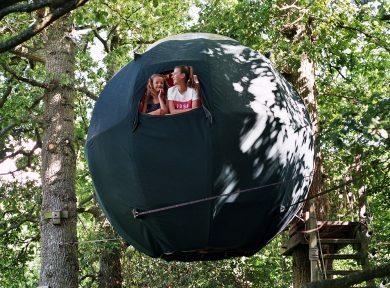 This is to maximise your privacy and to enable you to enjoy the peace and tranquility of the natural world. 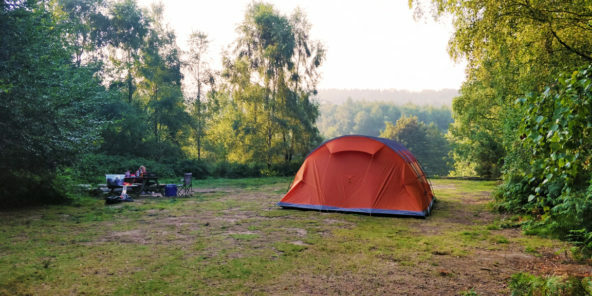 We don’t allow groups and we limit bookings to a maximum of 2 pitches to keep the site peaceful and to encourage lots of wildlife into the camping areas for our campers to enjoy. 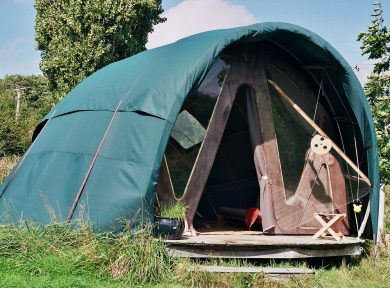 The Tree Tent and Gridshell are unique places to stay. Both were designed by local engineer and inventor Jason Thawley. 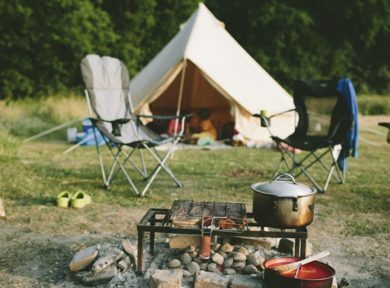 They provide a calm spacious shelter accompanied by a fire-pit and chairs to enjoy a nights cooking over a real campfire. Weekends (Saturday night bookings) require at least a 2 night stay. Bank holidays (bookings for a bank holiday weekend ) require at least a 3 night stay.